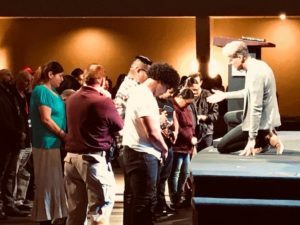 ALBUQUERQUE, NEW MEXICO (ANS)—If the gospel is such good news (which is what gospel means), why don’t we hear more of it? Especially in a world filled with such bad news, it seems hearing a good proclamation would be a nice change. Well, there are some preliminaries to know about that will help us enjoy telling others the gospel. It’s time for some of us to get over the embarrassment of sharing our faith. It really is one of the most fulfilling activities we can ever engage in. 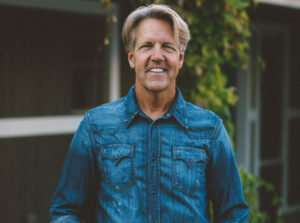 In this article, Pastor Skip of Calvary Church Albuquerque looks at Acts 2:27, reminding readers of important truths about sharing the Good News. To get the most from this article, read Acts 2, answering the questions at the bottom. Like the TV show, Mission Impossible, the Christian mission—should we choose to accept it—is the Great Commission. After all, it was Jesus who appointed us to go “into all the world and preach the gospel to every creature” (Mark 16:15). In Acts 2, much of the early church’s activity concerned the interior life (apostles’ doctrine, fellowship, communion, and prayer), but sharing deals with our exterior life—telling others. At its core, evangelism is God’s work—His calling, convicting, and converting others. But Christians are a conduit for God to work. God created the world, came up with the plan to save, and alone has the power to save, but He uses His people to accomplish His purposes (Romans 8:30). Theologically, this plan is called election: God chose you before He made you and He arranges circumstances to accomplish His purposes. As Jesus said, “No one can come to Me unless the Father who sent Me draws him” (John 6:44). In the end, God’s control takes the pressure off humans; salvation is God’s work. But there is human cooperation with God’s control. Notice Acts 2:41: “souls were added…” How? Through testimony (v. 40), the preaching of the gospel. God brings the news of salvation through His people. There is pattern in Acts that shows this: Acts 4:33, Acts 5:42, Acts 8:6, 12, 25, 30-35, 40. Bottom line: Evangelism is a divine work and a human work; there is cooperation. God is the mover (He convicts and draws); humans are His mouthpiece. Mass evangelism: An evangelist preaches to large groups. Jesus is our example. Jesus drew crowds, Peter did at Pentecost (Acts 2), and Paul at Lystra (Acts 14). And in our modern era, so did John Wesley, Jonathan Edwards, D.L. Moody, and Billy Graham. Notice verse 47: “added to the church daily those who were being saved.” The Lord didn’t add them to the church without saving them, and He didn’t save them without adding them to the church. God’s method is to add to the church those that were being saved. Fellowship and worship in a church is imperative. It’s fashionable to say, “I’m a spiritual person, but don’t believe in the church.” But this is contrary to Jesus who said, “I will build my church” (Matthew 16:18). Here’s the truth: salvation and church fellowship (membership, attendance, etc.) go together (see Acts 5:14). Here’s the pattern: When a person is saved, he or she is “added” to God as His child, and God adds His children to a church. Put another way, the true church is made up of saved people. This is the reason why many approaches to evangelism are off kilter: they tailor worship services to seekers— by not presenting the gospel. But church is more about feeding the sheep than entertaining goats. The converse should be the way we approach church: Evangelism helps goats become sheep; it feeds the sheep and in turn helps the sheep evangelize other goats. Every church should be a family where saved souls want to see more saved souls. The last aspect to know about this verse is that evangelism is a daily work. Notice that the Lord added people “daily.” Evangelism is not a sporadic work or a scheduled work; it is part of the church’s life. In the early church, there was a progression of growth, part of the daily life of the church. It began with the twelve Jesus chose as Apostles, grew to 120 in the upper room, moved to 3,000 saved, then adding another 5,000 men (more with women and children), and eventually, multitudes. Here’s something to think about: To know the numbers, someone was counting in the early church; every life was important. There are never enough saved people; the church is never “full enough.” Evangelism is essential to the mission of the church. 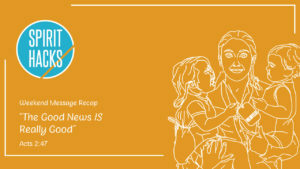 The question, then, is how do we partner with God in the proclamation of the good news? Second, we need to connect to the apostles’ doctrine, becoming a learning church. Third, we need to connect to God through communion and prayer. 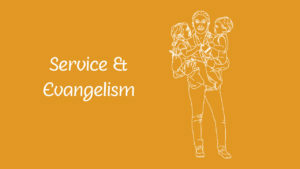 Fourth, we need to connect to the outside world through evangelism, telling others about Jesus. We can summarize this as connecting with one another through worship, by the Word, to the world. Allow others to start the conversation for you. Listen for opportunities and ears open to hear. Don’t do all the talking. Sharing your faith is a dialogue, not a monologue. Be nice, compassionate, and loving. Here’s an adage to remember: if you’re ever going to win some, you need to be winsome. Tell your story, your personal testimony of coming to Christ. Paul did this. Be creative. Buy a friend a book, take them to coffee, send YouTube videos that help answer questions. Think about this: Don’t let the best news ever become your best kept secret. This is our God-given and God-empowered mission, should we choose to accept it. Will you be like Isaiah the prophet, saying, “Here I am, send me”? Throughout the Bible, God has used men and women to communicate His truth. Though ultimately God knows the reason, why do we think God partners with humanity to evangelize? How does this cooperation illuminate both God’s sovereignty and human free will? Take time to pray for specific people you want to share the gospel with. Have friends partner with you in prayer.